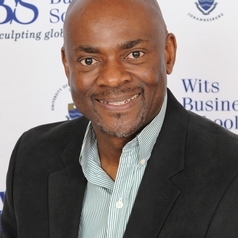 Kalu Ojah is on the staff of Wits Business School, at the University of Witwatersrand,as a Full Professor of Finance, Deputy Head of School and Director of the Master in Finance & Investment. He holds both PhD and MFn in Finance (Saint Louis, USA) and a BSc in Management/Economics (ORU, USA). He has been in Higher Education for close to twenty years, teaching and researching in major Business Schools in the USA, Spain, United Arab Emirates and South Africa. He has garnered invaluable socio-cultural experiences by living and working in several regions of the world: North America, Europe, Middle East and Africa. Besides developing important programs and training budding experts in Finance and Economics, he is a very active researcher with more than sixty peer-reviewed journal articles and conference proceedings to his name. Many of these articles appear in top-rate international journals such as Journal of Banking and Finance, Financial Review, Journal of International Business Studies, International Review of Economics and Finance, Review of Quantitative Finance & Accounting, International Review of Financial Analysis, Journal of Development Studies, Review of Financial Economics, Applied Financial Economics, Journal of Economics & Business, Review of Development Finance, Economic Modelling, and Applied Economics. Several of these articles have won awards, been extensively cited or earned honourable mentions such as winner of McGraw-Hill/Irwin Distinguish Paper Award, among Top 25 Hottest Articles in many of these journals. Has been named in Top 10% of Africa’s Economics Scholars, Top scholars boasting hundreds of citations by Google-Scholar, named in Who’s Who Among America’s Teachers, and nominated for Who’s Who in Finance and Industry. He is the co-Editor of Africa’s main Finance journal – the African Finance Journal, an editorial board member of the Review of Development Finance, Journal of Business Perspective, Quarterly Journal of Finance & Accounting; he reviews frequently for other top international journals, he serves as a Resource Person for the African Economic Research Consortium (AERC), had a stint at NYU’s Stern School of Business as a Visiting Scholar, served as Director of Research for about three years at Wits University’s School of Economic & Business Sciences. His main areas of research interest are, broadly speaking, financial markets, capital/debt structure, corporate finance and governance, financial economics and international business. Prof Ojah is frequently invited by nationally and internationally distributed newspapers (Guardian Newspaper, Mail & Guardian, Discovery Magazine, The Conversation), radios (Classic FM, SAFM, 107 FM, Power98.7, YFM 99.2), and TV stations (CNBC, eNEWS, SABC, ChinaTV-Africa), to provide expert views on contemporary financial economics issues. And he is often engaged in thought-leadership debates and presentations.